Synopsis: Falling for the guy who's trying to kill you? Bad idea. Simmi Shergill's, life is a mess. Her powers of a psychic feelings are on the fritz, and Grandon Township's sudden population boom has brought quite a few unsavoury characters to town She also looks like a over-blown balloon in her size 14 pants, but not even starving herself seems to be working as a diet plan. Well, at least her boyfriend, Alex loves her so much he'd do anything for her. Last summer he even risked his life to protect her from the mysterious boy who was convinced he wanted to kill her.The problem is, she's not so sure she feels the same way. Is Alex really the man of her dreams? And why can't she stop fixating on her would-be killer, Dax? Whenever he's around, part of her wants to run screaming in the other direction while the other part of her wants to run into his embrace, no matter who she'd hurt or what she'd risk. Simmi's loyalty is on the line. Who would she choose- the blind seer who loves her or the charming telekinetic with "bad idea" written all over him? 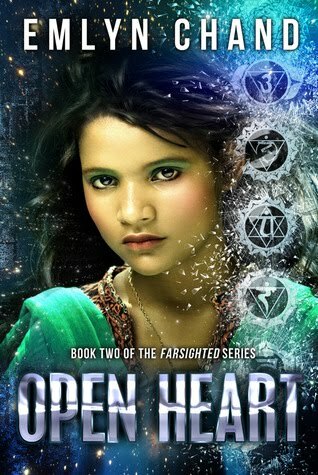 Emotions run high as the tension mounts in book two of the Farsighted series.